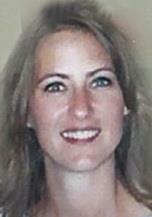 PARKERSBURG - Sherri Jo Asche, 45, of Parkersburg, died Sunday, Nov. 16, 2014, at Sartori Memorial Hospital, Cedar Falls, of natural causes. She was born Aug. 27, 1969, in Cedar Falls, daughter of Duane and Holly Arends. On Jan. 3, 1998, she married Greg Scott Asche at Snowden House, Waterloo. Sherri graduated from Parkersburg High School in 1988, and then attended Ellsworth Community College for two years for fashion merchandise. She worked in retail and was the manager at Garden Botanical, Bath & Body and Casual Corner. She went back to school and became a nurse. She worked in Cedar Falls for a short time and was currently working at Parkersburg Medical Clinic. She was in fellowship with Christians at Hitesville Gospel Hall, rural Aplington. Survived by her husband; her children, Olivia and Ryan, both of Parkersburg; her parents of Parkersburg; and four sisters, Sheila (Eric) Kinman of Des Moines, Stacy (Cole) Lindholm of Urbandale, Diane (Kevin) Endelman of Parkersburg and Ashley (Scott) Ashby of Ankeny. Preceded in death by maternal grandparents, Nevin and Esther Haines; and paternal grandparents, Marlyn and Gertrude Arends. Services: 10:30 a.m. Saturday at Stout Gospel Hall, Stout, with burial in Oak Hill Cemetery, Parkersburg. Visitation from 4 to 8 p.m. Friday at Redman-Schwartz Funeral Home, Parkersburg, and an hour before services Saturday at the church.